Back at it again with yet another Christmas recipe for you all! Today is my delicious gluten free rocky road! Who doesn’t love rocky road? It’s only one of the best treats going around, don’t you agree? Rocky road has always been a favourite in my household. There are so many varieties that you can choose from or even create your very own special rocky road recipe. Because it’s Christmas time, I obviously created a rocky road that was filled with a few classic Christmas ingredients! Such as, cranberries and macadamia’s. Add the essentials, coconut and marshmallows and of course, the chocolate! 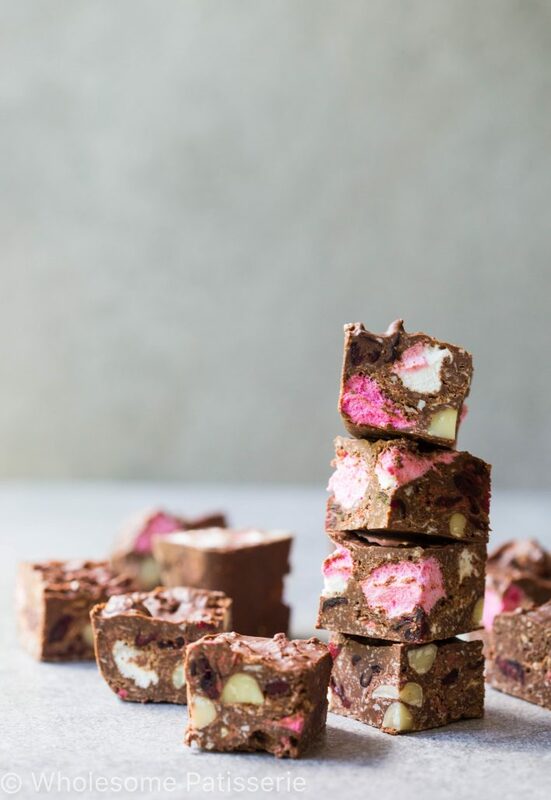 You will have yourself a scrumptious batch of rocky road in no time, just make sure you hide it away from those who lurk, you don’t want to miss out on all of your hard work do you?! I hope you’re all having a fabulous December and having fun preparing for Christmas, not long away now! I love the build up to Christmas, the festive season. It’s not all about the actual day, the time and season in itself is the best part I think. Have a great week ahead, sending you all positive, loving and festive vibes! Rocky Road at Christmas time is one of the best times! 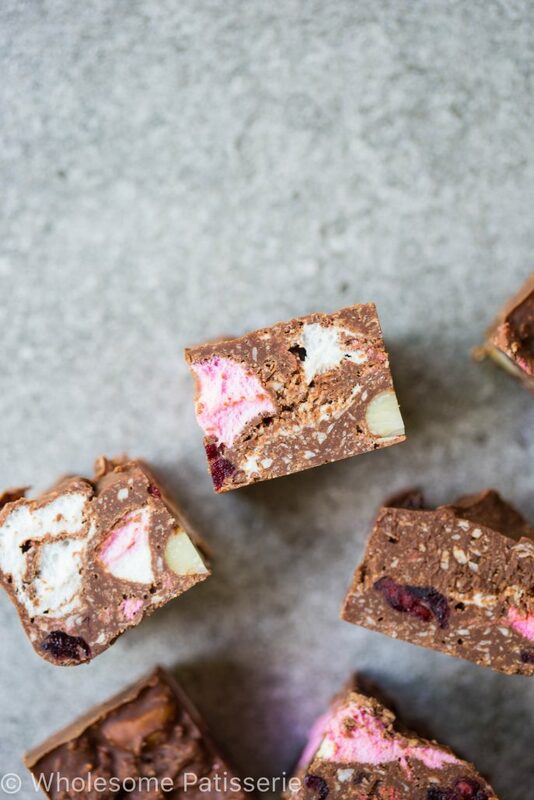 This gluten free rocky road is filled with all of the essentials plus the addition of a couple christmas classics such as cranberries and macadamia’s! 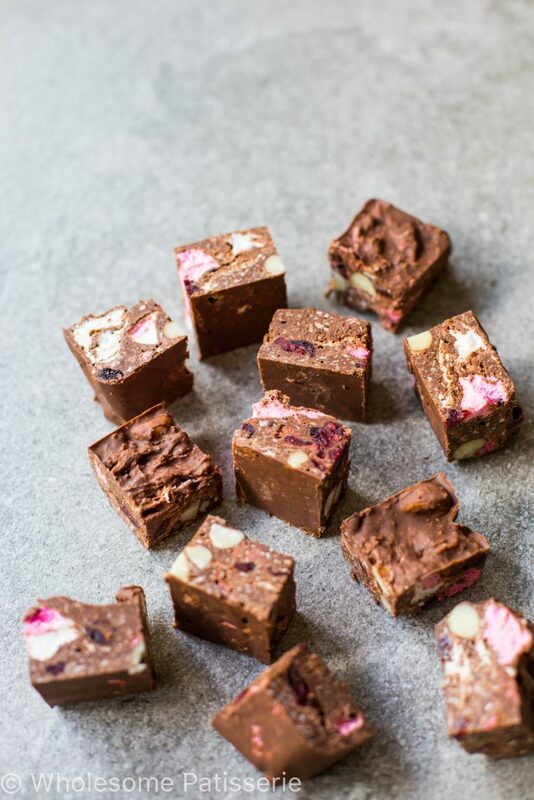 Impress everyone with your very own batch of this scrumptious rocky road! Once chocolate has melted, add remaining ingredients except marshmallows. Mix until completely coated. Turn heat to low. Gradually add marshmallows, mix until well coated and combined. Turn off heat. Refrigerate until completely set, approx. 1-2 hours. omg! this looks so yummy! I def. want to try it….I only have to find vegan marshmallows now! Ah yeah! 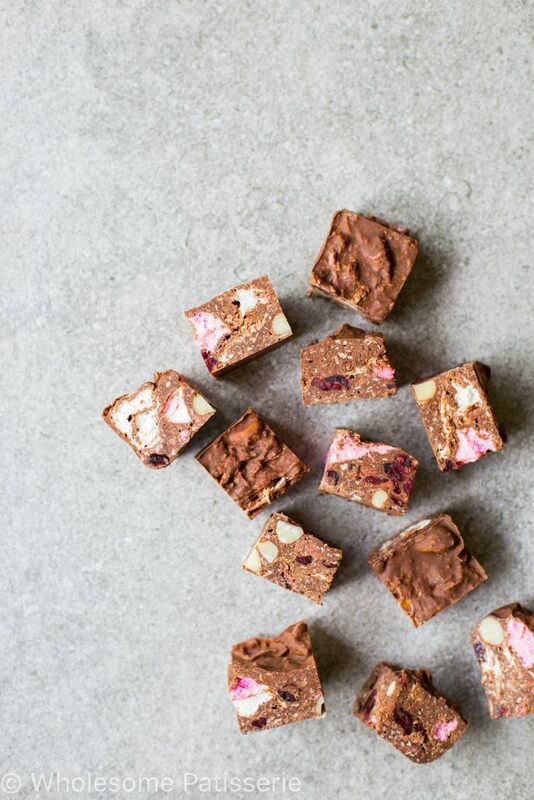 I love rocky road so much and this is just what I need to curb those midnight cravings!